Living rooms are the perfect space to relax and unwind after a hard day. 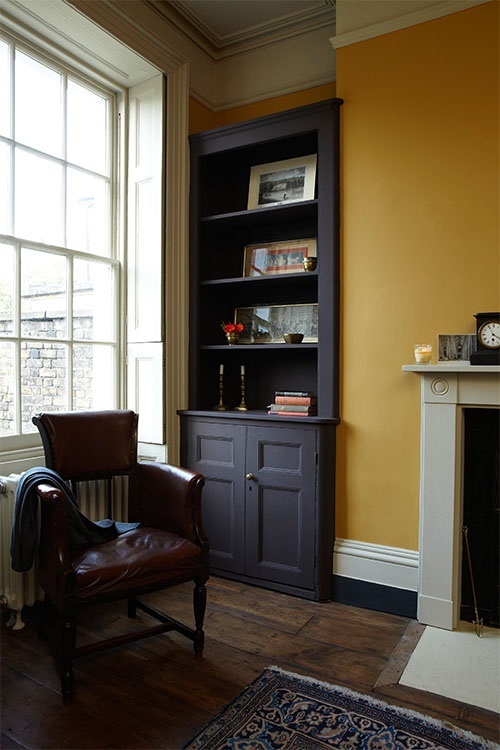 Warm colours, such as Terre D’Egypte, India Yellow, or even London Clay will help to create a cosy environment. However, if you want a more neutral scheme then try pairing warm neutrals like Smoked Trout with Matchstick, or Mole’s Breath with Purbeck Stone for a more contemporary feel. 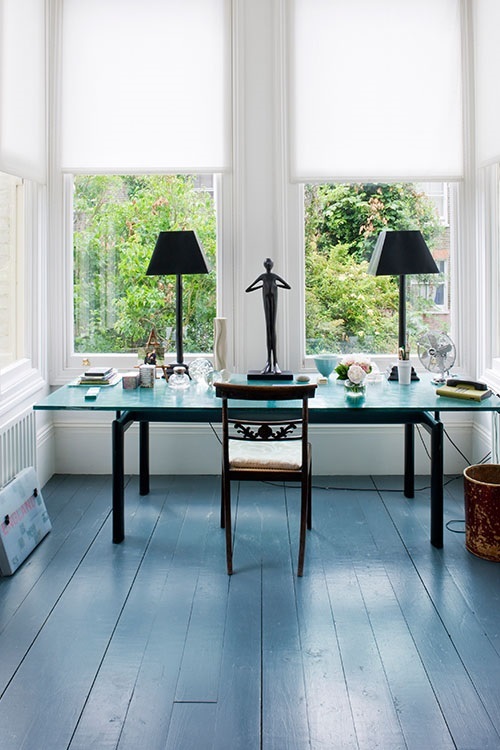 To create a living room that’s full of light and space it’s best to use the lightest colour on the largest surface area, such as the walls, and a darker tone on the woodwork. For a fresh look, why not try paring soft colours like Pale Powder or Calluna with darker shades of green and purple, like Chappell Green and Brassica. 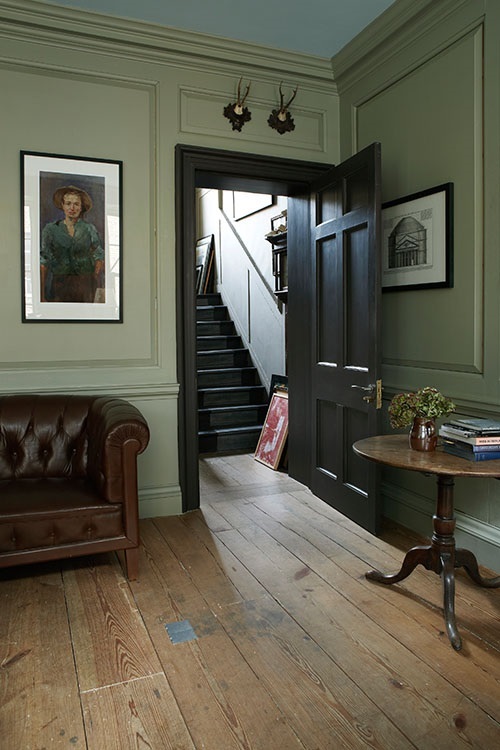 The use of a darker colour on the skirting boards not only makes the walls appear lighter in contrast, but it can also create a strong contemporary aesthetic. You can achieve the same effect by using a dark colour like Down Pipe or Railings on the floor with a white on the walls. To create the illusion that your ceiling is higher than it is, try using the same colour on the woodwork and walls, as this will make the walls appear taller. It also helps to use a white on the ceiling that is sympathetic to the wall colour, so you are less aware of where the walls end, and the ceiling begins. For example, choose a white with underlying green tones like James White if you are painting the living room green, or with underlying red tones like Dimity or Great White if the colour on the walls is warmer. 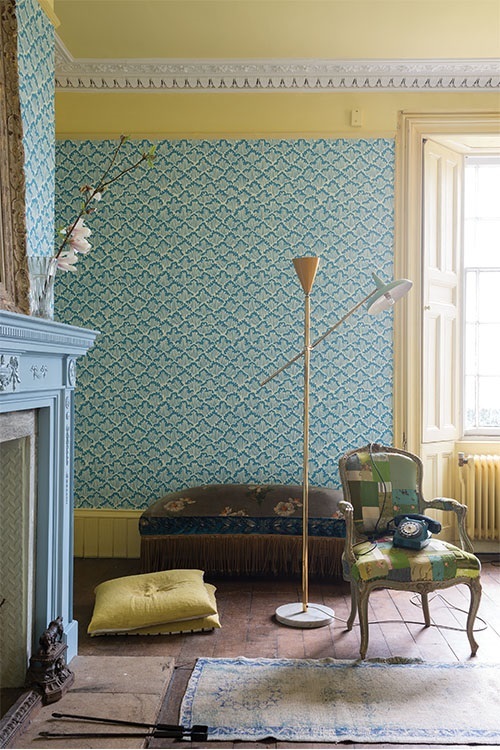 The living room is also a great space to introduce wallpaper, enabling you to create very different looks. 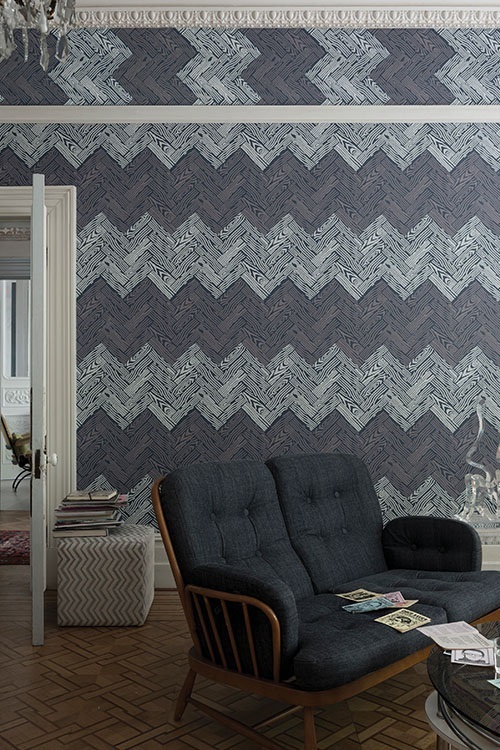 For a bold, modern feel try Parquet BP4103 and continue the pattern up and over the picture rail. 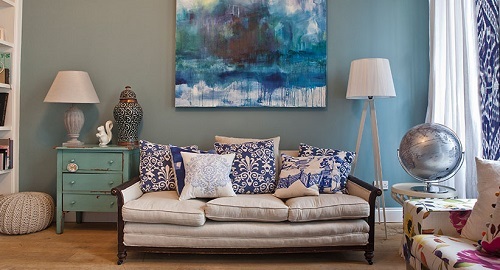 For something more classic and understated, try Jasmine BP3902.